A range of stylish natural stone mosaic tiles from Atlas Ceramics – perfect to give your kitchen or bathroom a rustic look. Are you looking for a fun and fresh way to transform your home? 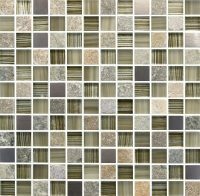 Natural stone mosaics can be used to add colour, beauty, and style to virtually any room of your house. 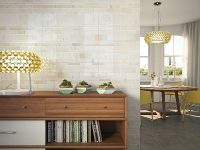 The benefits of stone mosaic tiles over ceramic or porcelain are numerous; they’re durable, practical, unique, and timeless in style. These tiles also offer you an easy way to revamp your home — without you having to completely redesign — and turn it into something special. With natural stone mosaic tiles, you really can’t go wrong! Are you looking for some inspiration on how to use these tiles? Are you wondering which rooms they work best in? You’re in the right place. 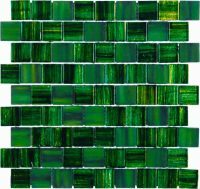 This article will give you some practical ideas on how you can get creative with natural stone mosaic tiles in your own home. We stock a range of limestone, travertine, marble and other stone tiles throughout our shop, so use the search filters to source through the wide variety in store. Your conservatory should be an oasis of calm, somewhere you can go to sit, unwind, and soak up the sun. It should therefore offer you as much comfort as any other room in your house; think of it as a second living room. Give your conservatory the same level of attention and design as the rest of your home and decorate it with natural stone mosaic tiles. These stunning tiles will instantly imbue the room with warmth and luxury. Not only do mosaic tiles look great on conservatory walls or the floor, but they also function to enhance the overall sense of space in the room. Choosing a stone mosaic tile with a glossy finish will reflect the light — which is what you want since conservatories already get a lot of sunlight — and have the effect of making the room appear bigger than it really is. Whether you go for dark or light coloured tiles, they’re bound to become the stand-out feature of your conservatory. These versatile tiles also lend themselves well to both modern or traditional styles. If you prefer a modern conservatory, maintain the sense of open space by keeping the furniture and accessories minimal. Neutral colours are key. Alternatively, traditional conservatories suit darker, bolder colours and designs. Decorate your traditional conservatory with artwork, rugs, greenery, and plenty of sofa cushions. These practical tiles are also very easy to clean, making them an obvious and hassle free choice for your conservatory. They’re also great for keeping your conservatory cool and comfortable in the warmer months. Installing underfloor heating will help keep you warm in the winter, so you can enjoy your natural stone mosaic tiles all year round. Looking to transform your bathroom into something special? Natural stone mosaic tiles can turn your bathroom into a place you love spending time; whether you’re getting energised for the day ahead or needing some alone time to relax and unwind. When it comes to choosing the colour and style of your natural stone mosaic tiles, the options are virtually endless. It all depends on the specific ambience you want to create. Anything from modern and bright to dark and moody can be created effortlessly with natural stone mosaic tiles. If you want to re-create a professional spa in your own home, consider tiling the walls and floor of your bathroom with all-blue or all-white natural stone mosaic tiles. This will instantly create a modern and sophisticated look in the room. Keep the rest of the space simple with chrome fixtures and fittings. It may also help to invest in adequate bathroom storage — such as, under-basin cabinets or shelving — to keep the surface areas free from clutter. 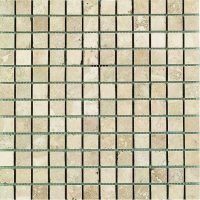 Neutral shades of natural stone mosaic tiles will keep your bathroom feeling fresh and light. Something as simple as white walls paired with white natural stone mosaic tiles will keep your bathroom looking tranquil, airy, and bright. 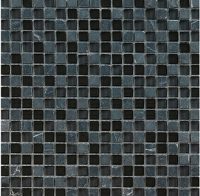 You don’t need to scared of using darker shades of mosaic tiles in your bathroom, either. 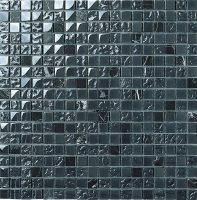 Using a black stone mosaic tile on the floor or walls (or both) can add an intriguing sense of drama to your bathroom. Opt for tiles with a glossy sheen and imbue the whole room with a subtle, elegant shimmer. A simple white bathtub and sink will create the perfect eye-catching contrast to the tiles. Use warm lighting — or install a dimmer switch — to enhance the luxurious ambience. To finish, hang a large mirror to help create and reflect even more light. This will also help create the illusion of more space, which is always beneficial in typically smaller rooms such as bathrooms. 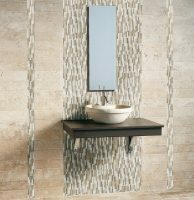 A feature wall above your sink or in your shower will look beautiful; a pebble-effect tile is perfect for this. Creating a border the whole way around the bathroom with a single strip of natural stone mosaic tiles is a subtle, elegant way to add colour and depth. Consider using a gold tile that exudes opulence and glamour. If you like to cook or entertain friends and family, chances are your kitchen is a well-used room in your home. The look and feel of your kitchen is important; it should combine equal levels of functionality and style. Using natural stone mosaic tiles as a backsplash in your kitchen is a great way to transform the room and add texture and interest. If you have an otherwise neutral kitchen and want to inject a burst of colour, backsplashes are a great way to do this. 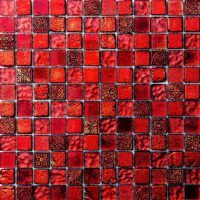 Consider choosing natural stones in gorgeous shades of red, blue, green, or orange, for example. These bright and beautiful colours will warm up your kitchen and make it a more homely place to be. Limiting the tiles to just your splashback means you’ll get just enough colour without it being too much or overwhelming. Rustic kitchens never go out of style. 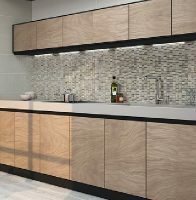 If you want to create a rustic look in your kitchen, opt for brown or neutral tiles for your splashback. These shades will imbue your kitchen with warmth and coziness. Dark wooden floors paired with off-white French-style cabinets and shelving will look great together — and work really well with the tiles. 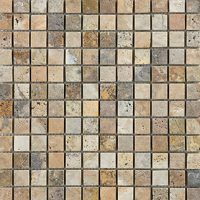 On the other hand, white and cream shades of natural stone mosaic tiles are ideal if you want to create a polished, sleek, and minimal kitchen. The benefits of natural stone mosaic tiles extend further than their attractive look. These tiles are easy to keep clean, which makes them perfect for busy kitchens. All you need to do is simply wipe the interlocking tiles and grouting down to keep them looking as good as new. Versatile, beautiful, and long-lasting, natural stone mosaic tiles are the perfect way to increase style and beauty in your home. With so many colours and styles of mosaic tile to choose from, the hardest part will be deciding which ones are right for your home. There’s no need to rush such a permanent decision, so take your time! We have one of the largest selections of natural stones and glass wall and flooring choices to browse through across a great amount of products. 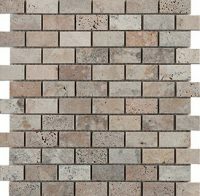 Be sure to request samples of different stone mosaic tiles before you buy, so you have a better idea of how exactly they’ll look in the room. Embrace natural stone mosaic tiles and use them to create a home you love! Prices should be displayed throughout, along with any current offers, details of how to buy and delivery. If prices or samples are not available, contact us today for further information.